Feed your body with Vitamin Code Women’s Formula, a comprehensive multi-nutrient formula specifically designed to meet the unique needs of women. 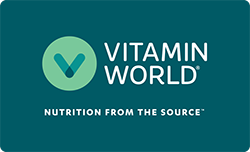 Vitamin Code Women’s Formula contains RAW Food-Created Nutrients™, providing targeted delivery of essential vitamins and minerals for extraordinary health and vitality. **"
Directions: Adults take 4 capsules daily. Best when taken 2 capsules twice a day. May be taken with or without food. Capsules can be opened. Content can be taken directly with water or raw juices. Not intended for children. Other Ingredients: Vegetable cellulose, Brewer's yeast (saccharomyces cerevisiae), lactobacillus bulgaricus, phosphorus. May contain soy. * RAW Food-Created Nutrients™ are individually created through dual-organism cultivation which typically allows for the natural creation of known and yet to be discovered Code Factors™ such as Live Probiotics, Bioactive Glycoproteins, Bioactive Lipoproteins, Bioactive Enzymes, Glucomannan, SOD, Glutathione, Beta-glucans, Lipoic Acid, Essential Trace Minerals, Glutamine, Polysaccharides and CoQ10. Warnings: As with any dietary supplement, consult your healthcare practitioner before using this product, especially if you are pregnant, nursing, anticipate surgery, take medication on a regular basis or are otherwise under medical supervision. Accidental overdose of iron-containing products is a leading cause of fatal poisoning in children under 6. In case of accidental overdose, call a physician or poison control center immediately. Vitamin Code® Women's Formula™ is rated 5.0 out of 5 by 1. Rated 5 out of 5 by KristinMary3 from Excellent I can not take regular vitamins due to a rare stomach condition. These vitamins are a blessing.